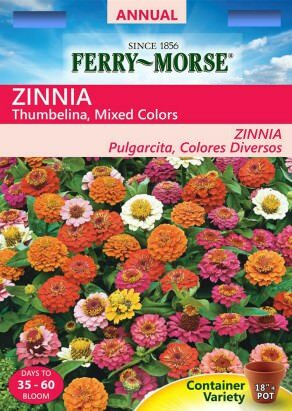 Do you know of a compact Zinnia that has large flowers? Hello JefferyT and welcome back to The Community! We are glad that you are here. Zinnias are one of my favorite annuals and they have been quite popular for generations. I enjoy starting “Thumbelina” from seed each spring. The plants are compact (dwarf) yet have large blooms for their size. They are easy to maintain and bloom throughout the season. Other zinnia varieties have larger blooms but the stems are at least twice the height.